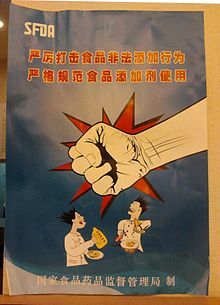 In January 2008, several Japanese people in the Hyōgo and Chiba prefectures fell ill after consuming Chinese-produced jiaozi (dumplings) tainted with the insecticide methamidophos. The dumplings had been produced by the Tianyang Food Plant in Hebei and sold by JT Foods and the Japanese Consumers' Co-operative Union. Kyodo News reported that about 500 people complained of agonies. On February 5, 2008, Hyōgo and Chiba prefectural police announced that they were treating these cases as attempted murder. and both prefectural police departments established a joint investigation team.